The Labour Party’s plan to tackle zero-hours contracts is a welcome approach to a “critical issue”, according to City University London academic Professor Chris Rowley. 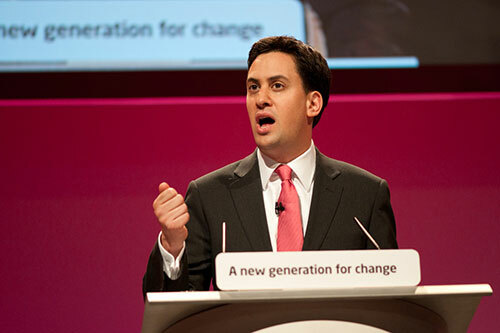 Labour leader Ed Miliband has announced his party will ensure workers with irregular shifts get fixed hours if they work regularly for the same employer for three months – down from the party’s previously proposed timeframe of twelve months. Chris Rowley, Professor of Human Resource Management at Cass Business School, says zero-hours contracts, which allow employers to hire staff with no guarantee of work, are not good for employers or workers. “This is a critical issue and at last there is some distinction, albeit only ‘clear pink water’, between the main parties in the area of employment," he said. Professor Rowley says support for the existing contracts, by organisations such as business lobby group the Confederation of British Industry (CBI), does not take into account the negative effects the contracts bring for firms and their staff. “The CBI’s comments about these contracts being responsible for employment rates, is naïve and totally ignores the types and quality of the jobs created. The lack of employer commitment for workers and business, inherent in these types of contracts, has further negative implications. These include the inability for employees to plan for the future, as well as the unwillingness of companies to make their own plans”. “Furthermore, such high numerical flexibility gives employers and managers an all-too-easy way to opt out of competition via investing and productivity with more sophisticated, innovative and value-added routes, which are long term and require commitment, training and skills enhancement. Professor Rowley has concerns about what the future holds for the employees if zero-hours contracts continue. Professor Rowley is among the City experts providing commentary on the UK General Election. Visit our General Election 2015 microsite for more information and details of how to get in touch.